REMEMBER the ultra-secret, upcoming Wyred4Sound (W4S) products we had a peek at recently? We couldn’t give you photographs then but as promised, here are illustrations from W4S as they finalise the prototype chassis. As you can see, both the 220-watt monobloc m-AMP and m-PRE follow the general form of W4S’ newer “desktop-type” models, the mINT integrated amp and Music Server. The m-AMP presents more faceless real estate in front (well, it doesn’t really need much there), while the m-PRE has the layout of the mINT, with a range of necessary controls. 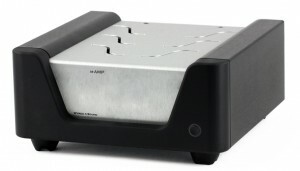 The m-AMP is a fully balanced design, while the m-PRE comes with a DAC (including USB input) on board … click on the link above to get the details.